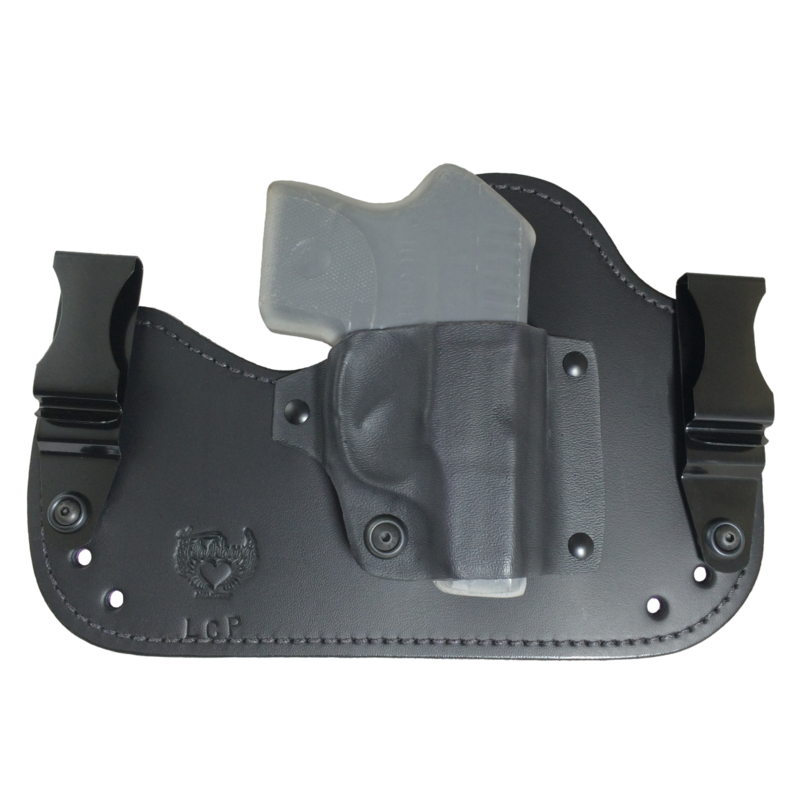 This versatile Paddle Holster can be worn in several different positions for the best options when it comes to conceal-ability. It was made for women by women and is sturdy enough to conquer any firearm! SKU: HLSTR-PDL-001. 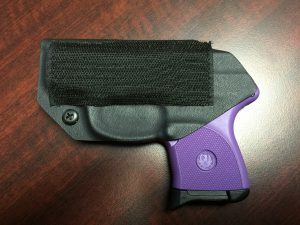 Tags: Appendix Carry, Black, Black Holster, Holster, Kidney Carry, Leather Holster, Paddle Holster, Purple, Purple Holster. This leather and thermoplastic hybrid is made to be worn inside the waistband. 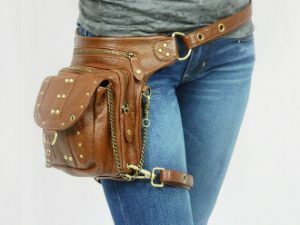 It features a soft leather back piece that conforms to the wearer’s shape. 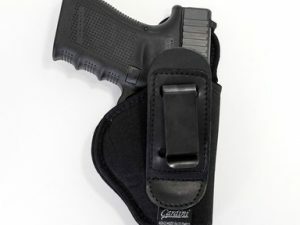 The super strong clips hold the holster in place with or without a belt. 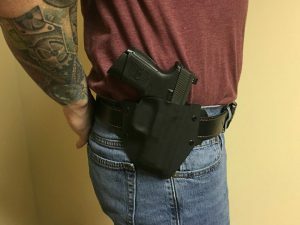 The back piece is also cut down to be smaller than the traditional (made for men) style so that it can even be worn in the front as an appendix carry or cross draw. The clips are adjustable and can be raised or lowered to create a total of NINE different cant/depth combinations! Totally customizable!! To top it all off we’ve added a layer of luxurious suede to the back for both comfort and fashion. 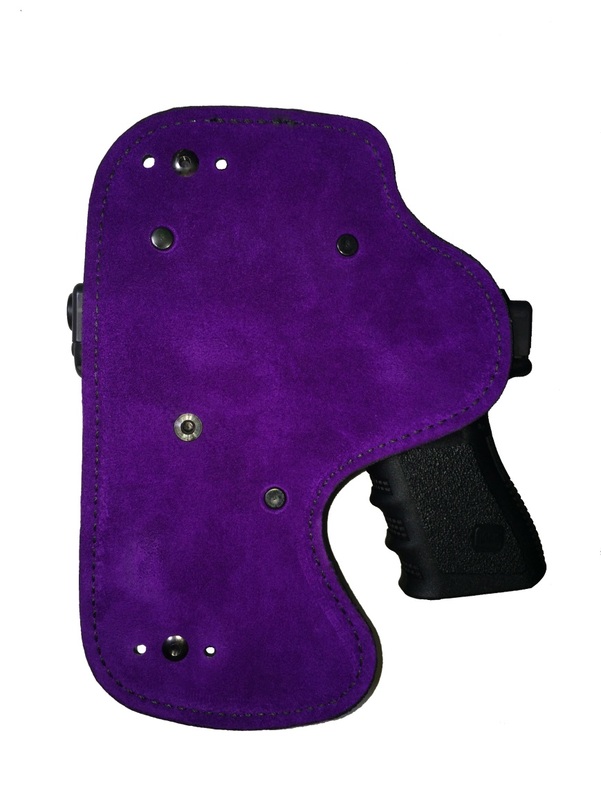 The rich deep purple color takes this holster to the next level!